Jesus said, “men ought always to pray and not to faint.” Once again, the Holy Spirit is impressing and expounding this profound statement from the lips of the Master to His people. This generation of believers cannot trivialize the responsibility of prayer and expect to be sent by Heaven into the waiting harvest. We have been denied the joy of harvest because we have neglected the pain and travail of prayer. 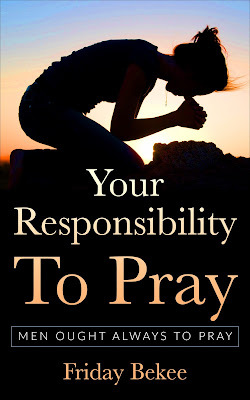 In this book, Dr. Bekee challenges us to take the instruction of Jesus and get back to action in prayer, in order to explore the amazing power of prayer.